The S400 is the premium offering from JLL and takes over from the S300 in terms of size and capabilities. 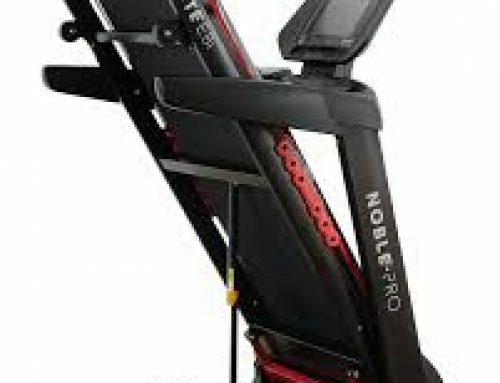 A closer look at the new model shows why it is comparable with treadmills that are used at the local gym. On delivery, there are two boxes – The main body – The monitor and accessories. The main body box alone weighs 65 Kg so care must be taken when moving it around. The accesories box also contains the monitor, along with the power cord, auxiliary media cable, safety key, operator’s manual and the tool pack for construction & maintenance. The manual is comprehensive, and simple to follow. The first and most obvious feature is the size of the running surface, which at 135cms long and 45cms wide, is very similar to commercial machines. The main advantage of this is when the user is above the height of 6ft 2, as it allows for a longer stride when running. Here lies its only true downfall as a home machine; its weight and size. At 73kg delivered, it takes a two-person team to set it up, but once done, the S400 folds neatly against a wall. The result is a particularly sturdy machine, that has a very small room footprint when not in use. The console is a large back-lit LCD unit that shows the standard information expected, including speed, distance, heart rate monitor, calories, time and incline. It also gives access to the 15 programs that are available, three of which can be altered to suit the user’s requirements. It is easy to interpret and very clear, even when walking and running on the machine. The heart rate monitor is activated by holding onto the hand rails. Not an ideal scenario while running, but a minor point. Along with displaying all the relevant fitness information, the console is also the centre of an impressive entertainment system that features a set of powerful speakers. Connectivity is via USB, allowing Android phones and Ipod, Iphone products to be hooked up, plus Bluetooth® is also supported. The S400 continues its similarity to commercial machines with the auto-incline feature. Controlled via a button on the handrails, it offers 20 levels of incline that are delivered almost imperceptibly, allowing more flexibility and increased calorie burn. The deck is capable of carrying up to 120Kg and is supported on 16 cushioning points. The advantage is smoother operation and less impact on knee and ankle joints. The vibration is very low and is only noticeable at higher speeds when coupled with heavier users. The S400 is powered by a 2.5 CHP (Continuous Horse Power) motor that gives a speed range of between 0.3 and 16 km/h (10 mph), making it accessible to all levels of user. Couple this with the impressive incline options, it makes the S400 a serious work out tool. The S400 looks like an impressive machine once installed and the base is easy to lift up into its storage position, despite its size and weight. The control panel is simple to operate and very clear, even when running at pace. It comes into its own with the larger running surface which gives the user confidence to stretch their legs; not always possible on a home-based machine. Using the incline facility is easy and its operation is smooth and barely noticeable on incline or decline. The entertainment facilities are excellent as the interface accepts virtually all types of media input and the speakers are of a high enough quality to do justice to the music and other media tested. Using it did make the running experience far more enjoyable. The main advantages for the consumer are its considerable flexibility. 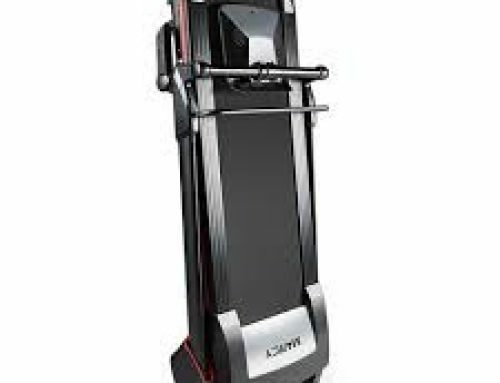 With so many programs available and 20 levels of incline, it is possible for every standard of user to find a comfortable level of exercise, whether experienced or a complete novice to treadmill use. In general, operation is quiet and will not disturb others in the house hold. JLL make a point of their warranty promises, which include two years parts and labour, a lifetime on the frame and 5 years on the motor. 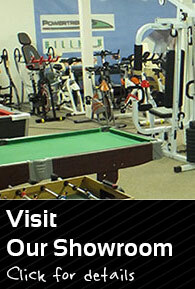 This is an important vote of confidence when investing a comparatively large amount on home gym equipment. It is difficult to find a home-based machine that is comparable with the S400 as its functionality is very similar to a gym-based treadmill. Despite its size and weight, the folding feature means it doesn’t take over the room and the flexible programming facilities make it a joy to use. The larger, cushioned running surface allows for about every type of runner and the powerful motor never seems under any stress. In general, it is an excellent piece of gym equipment. Want to know which specifications matter to you? Check out our treadmill buying guide for a detailed breakdown. 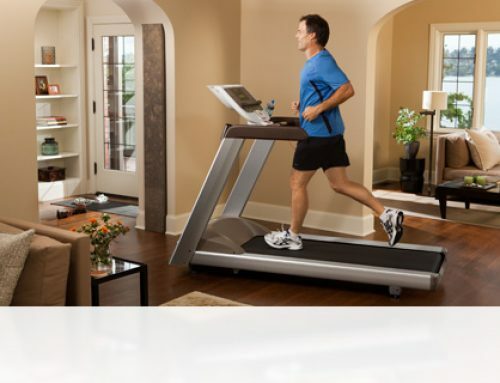 You can view more JLL treadmill reviews in our extensive selection too.